The writer has completed at least 28 slices and up to 31. The writer has completed at least 20 slices and up to 27. In addition to meeting the “C” level requirements, this project goes further by completing 11-19 slices during the month of March. C (84): C work is clear, competent, and controlled, but its style, originality, sophistication, and level of critical thinking are undistinguished. Overall, writing, depth, and sophistication of thought are average. The writer has completed 10 entries during the month. The slices are a competent response to the assignment: they meet, to some degree, all the assignment requirements, and demonstrates that the author has put significant time and effort into communicating his/her ideas to his/her targeted audience. 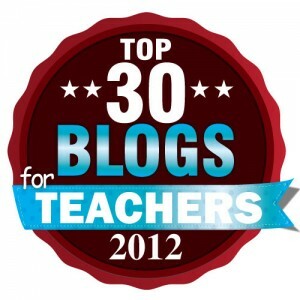 Students who complete all 31 blog entries will receive 5 points of extra credit. When I assign the project in February the students always groan. They are horrified by the prospect of writing a blog entry every day and can’t imagine having anything to say. However, they want those extra credit points, so many of them set out to do all 31 entries. Guess what? Most of them end up loving the assignment. Today I reminded some of the students that they only had a few more days of entries to complete. They groaned, but this time it was from disappointment! They told me they will miss the entries when the month ends and they wish it was an assignment all year long. I think they’d lose interest if they had to write everyday all year long, but it’s awfully nice to hear that they enjoyed the writing they did this month. Most students end up loving the assignment, but I worry every February.